Have you heard the term "skintertainment" yet? The portmanteau is pretty self-explanatory... and it might just be the next big thing in the beauty world. More than ever, there are Instagrammable products that seek to wow us with their packaging and pretty, often glittery, formulas. Brands are starting to prioritize products that are as fun as they are functional — and we couldn't be more excited. 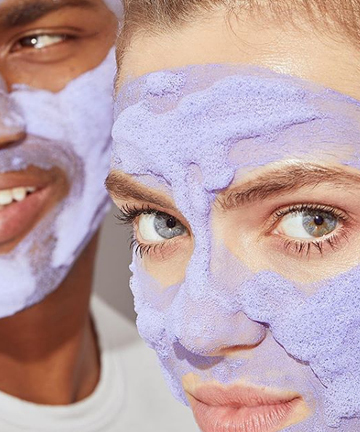 Glow Recipe co-founder and co-CEO Christine Chang reveals that "skintertainment" encompasses many factors; from the social aspects of skin care (like #masking), to experimenting with products with out-of-the-ordinary textures. "I've found that textures, more than other elements, really help bring out the sensorial element of a routine and drive the visceral response that comes from an experience that is truly enjoyable," Christine's co-founder Sarah Lee explains. "Glow Recipe coined the term 'skintertainment' in 2015 to describe this experience." And there's a brilliant mentality behind it: "With the right product, your beauty routine should be a little slice of sunshine in your day," Lee continues. "Pampering your skin and yourself should be enjoyable and fun — not a chore." Amen to that! With that philosophy in mind, see the addictive beauty products you'll always want to use; no matter how tired and lazy you're feeling after a long day.